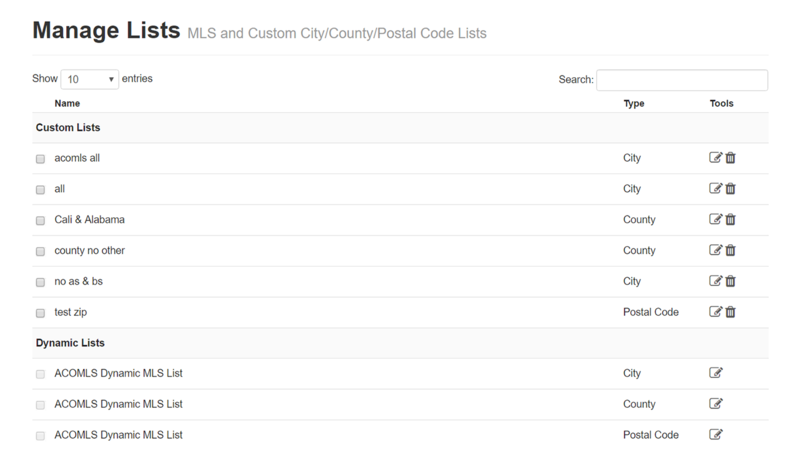 Create multiple custom city, county, and zip code lists. Give your lists custom names like "Portland Area" or "Downtown." Apply your custom city lists to your standard or custom IDX search pages. Custom city lists added to custom search pages allow you to create a fine-tuned, easy searching experience for your site visitors!